According to a brand-new rumor, Nintendo fans have a new Nintendo Direct to look forward to. As you may know, Nintendo hasn't aired a general Nintendo Direct since September, which means we're currently in the middle of the longest period with no such presentations. Sure, Nintendo has put on a Nindies Direct here and there, but it's been silent on the more meaty games for awhile now, which has many fans anticipating that a big direct is on the horizon. And according to a new report/rumor, this is exactly the case. 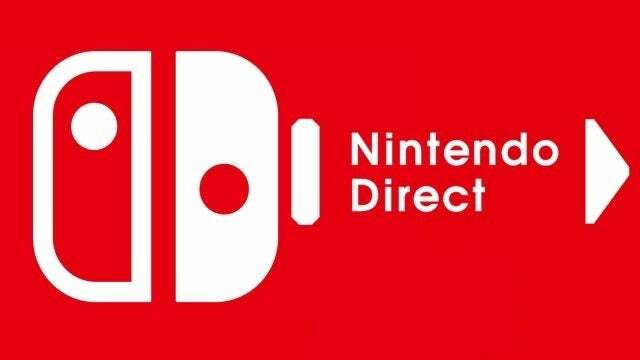 According to ResetEra user "king zell," Nintendo will host a Nintendo Direct on February 13. "13 is your lucky number....and I'm out," wrote the forum user. Now, I know what you're thinking. Who cares what some random ResetEra user thinks the next Direct will be? I agree, who does care. However, "king zell" isn't your random extraordinary forum leaker with no track record to back up their big claims. He's leaked a variety of Nintendo-related events and information in the past. For example, the user knew about the most recent Nindies presentation last month days before it happened and also provided information about the reveal of Pokemon: Let's Go before said reveal event happened. There's more, but you get the point: the user is a much more reliable source than just some random forum poster. And according to king zell, the basically-confirmed-but-not-officially-confirmed Metroid Prime Trilogy for Nintendo Switch will "probably" be revealed here. Further, any of the many unannounced games Nintendo has in the pipeline for this year could show up, such as: Super Mario Maker 2, Pikmin 3, a new 2D Zelda, the new Pokemon entries, and a new BoxBoy. The user also points out that better third-party games are on the way, including "better Japanese support." However, whether this will be demonstrated in the new Direct, is unclear. Anyway, as always, this should be taken with a grain of salt. As mentioned above, king zell has a track-record of providing accurate information, but this shouldn't be treated as any type of official confirmation. That said, if you're a Nintendo fan, it sounds like next week may be the best one in 2019 yet.